Elite Sport; have you got what it takes? Research in School of Sport Health and Exercise Sciences has partnered closely with England and Wales Elite Cricket squad. 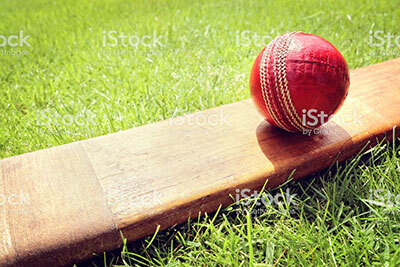 This project is designed to aid the performance of the England Cricket team by increasing mental toughness through the use of pressured training. Watch this in action on Sky Sports Mind Games episode 4 – The Next Frontier with the School element beginning at 9 minutes in. Dr Matthew Barlow is a former PhD student and Postdoc researcher in the School. The use of his work by the England and Wales Cricket Board is a feather in the cap, not only for Matthew but for the School. Sky Sports were keen to include his research in their feature on Mind Games and cricket and sport’s mental side and this provides an example of how high-level research of this nature is carried out within the School and is utilized by elite sporting organizations. Dr Andrew Cooke, Lecturer in Performance Psychology explains how neurofeedback training works. Dave Gunn, National Development Officer for the Croquet Association and Rich Waterman, Mindset Expert for the England Croquet Club has visited Bangor University to try out neurofeedback in the hope that will be beneficial to croquet players. Why do some marathon runners get ill? PhD student Sophie Harrison from the School of Sport, Health and Exercise Sciences investigates why do some marathon runners get ill. Researchers have returned from an expedition to the Manaslu region of the Himalayas where they investigated the effects of altitude on the human body. Staff and students from Bangor's School of Sport, Health and Exercise Science are embarking on a 5-week long research expedition to the Himalayas. The group will be investigating the effects of altitude on the human body. Researchers Dr Donghyun Ryu and Dr Andrew Cooke from Bangor’s Institute for the Psychology of Elite Performance are conducting innovative research, funded by AXA, to see if they can teach learner drivers to process peripheral vision more effectively. Their novel training method, designed by Dr Ryu, involves blurring out parts of the visual field. Dave Shaw interviews Professor Lew Hardy who explains what choking is. Dave Shaw interviews Professor Lew Hardy, who explains what anxiety is and why it is important in sport. Dr Ross Roberts is interviewed by BBC Wales' Jamie and Louise as part of the live broadcast from Bangor University talking about sport psychology, the Wales v Ireland rugby world cup match and personality and performance research done at Bangor. Prof Tim Woodman and Dr Ross Roberts interviewed on BBC Wales' Jamie and Louise show talking about ironic errors and performance under pressure, as well as personality and performance.